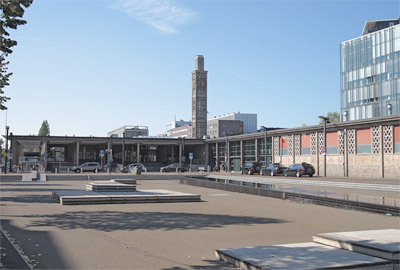 Central Station, the Enschede railway station is situated in an late 40s building in downtown Enschede. The dutch railway-company offers direct connections from Amsterdam, Schiphol Airport, Rotterdam and Den Haag. From other large towns you can travel with just one transfer. One platform is reserved for German trains and is part of the german railway network. This makes it very easy to travel to Enschede with Deutsche Bahn. Direct connections exsist between the German cities of Munster and Dortmund.